The good news: you’ve struck up a relationship with the decision-maker at a prospective client. Let’s call her Denise, the corporation’s CUO (Chief Unspecified Officer). The bad news: Denise asks that you chat about the project with Elliot Intheweeds, the SVP of Unspecified Stuff. Elliot is an influencer. He’s not a gatekeeper because you’ve already found your way to Denise. He’s not the decision-maker because he can’t sign your contract or cut you a check. He is, however, a potential land mine, waiting to blow up your chances of winning the business. Also, reading between the lines, you surmise Elliot is feeling threatened by having a smart cookie like you treading on his turf. Nevertheless, Denise works closely with Elliot and respects him. Your next meeting with Denise is on Friday and you’ve set up a call with Elliot for Thursday. How should you handle the call with him so that his considerable influence swings your way while you retain your peer-level relationship with Denise? Hit all three points of the Trust Triangle with Elliot directly. In other words, show him that you’re thinking about his interests, you want to help him, and you don’t want to harm him. During your call with Elliot, conduct a light, slightly modified version of the Context Discussion. Start off by complimenting him, because: 1) a little bit of sincere flattery never goes awry, and 2) putting yourself in a positive mindset is crucial. Channel your inner Michael Jackson—be a lover, not a fighter. 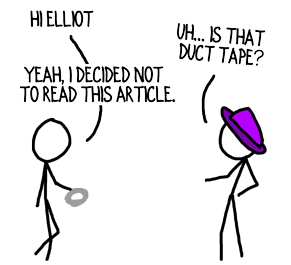 Skim or skip the Value section unless Elliot is the keeper of all financial data. Your biggest challenge will be keeping the conversation as concise and high-level as possible, which entails lifting the conversation back up to the 20,000-foot level when Elliot wants to whip out his microscope. The Elliots of the world can be viewed as frustrating barriers to winning projects. That outlook rarely helps, though. In fact, even the most resistant influencers, when handled respectfully, may become your most ardent, internal champions. Co-opting influencers and making them allies is generally a sound, long-term strategy. You want Elliot on your side. After all, you never know when he’s going to be promoted to CNO (Chief Nebulous Officer). How else do you influence the influencers? Hearing back from sharp readers like you starts my day off right, too, MaryKate! Thanks for sharing. Currently working on payroll and using your tips to navigate the waters of internal projects. It’s not the color of the paycheck, it’s the success of the work. Thanks for this! Internal consultants face many of the same hurdles and requirements for success as independent, outside consultants. We all have customers we need to serve and we have to build trust in order to win projects and create value. 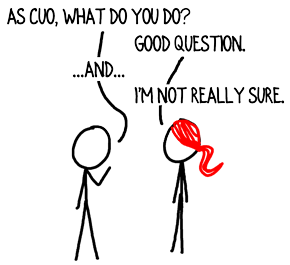 I appreciate you contributing the internal consultant’s point of view. 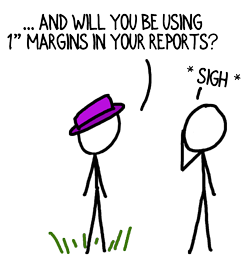 “1 inch margins in the report” brought a chuckle to my day. You are so right. Keeping influencers at the 20,000 ft level can be challenging. Put a tactically-oriented influencer in a room with a deep-dive subject matter expert consultant and they can talk for hours upon hours about the finest of details. That’s actually a good thing when it’s part of a signed project. In some cases, you can even manage that mindset during business-acquisition by having someone on your team play in the weeds with the influencer while you stay high level with the decision-maker. I’m glad you chuckled, Debbie!